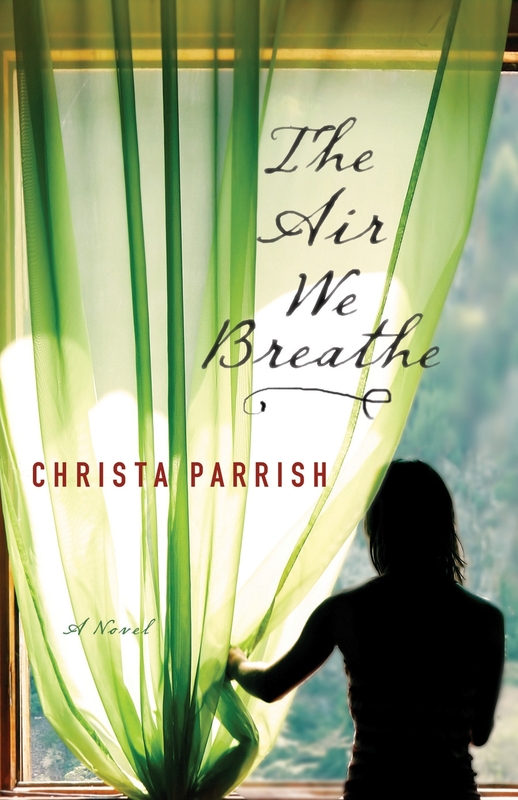 The Air We Breathe, by Christa Parrish is one of those amazing stories that stay with you. Christa Parrish explores the broken worlds of Molly Fisk, eighteen and afraid to walk out her door into the world and Claire Rodriguez whose own ghosts keep her tightly locked down. The lives of these two people each paralyzed by their own personal tragedies intersect and what comes from a chance meeting can only be a ‘God-thing.’ I have to admit that I usually stick to inspirational romance—preferably with a big dollop of mystery, but this book intrigued me from the first and I have no regrets. Parrish steps carefully through questions of why the Lord allows terrible tragedy into the lives of his children and does so without being preachy. This is my first Christa Parrish novel and her authentic and carefully woven plot has me looking for more of her books—an inspiring first-rate read! 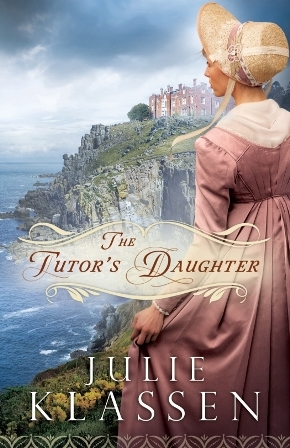 I stayed up late into the night following the tightly woven mystery of Julie Klassen’s, The Tutor’s Daughter. If you love historical fiction with a clever twist of intrigue this is the book for you! Bookish Emma Smallwood steps out of a hired coach and into the secrets of a nineteenth century cliff top manor on the windswept coast of Cornwall. Something is happening at Ebbington manor—from the creaking of floorboards in her darkened bedroom, the haunting music played only at night, to the distant cry of voices in the supposed empty north wing and Emma must uncover the mystery before harmless pranks turn deadly. Walking with a lone candle through the twisting halls of the ancient manor Emma encounters more than just the glaring eyes of Weston ancestors. With my comforter tucked securely under my chin I gingerly followed Emma into the mystery surrounding Ebbington Manor and enjoyed every minute of it. Klassen writes an excellent mystery and it satisfies to the very last page! When you’re the only witness to a terrible accident that no one believes really happened who do you turn to for justice? Irene Hannon introduces a great new romantic suspense series with this first book in her Private Justice series featuring the Private Investigators at Phoenix Inc. In Vanished, Hannon delivers what I’ve come to expect—a tight mystery with intriguing, well-developed characters who when faced with adversity don’t shy away from it. I’m a bit disappointed that she keeps the faith aspect so light in her books. Hannon sidesteps a perfect opportunity in Vanished to explore a common question that Christians share; why our heavenly father allows bad things to happen to his children—a difficult aspect of faith to be sure, but one that other authors, like Dee Henderson, handle so well. Yet, if you’re looking for a clean modern mystery with a touch of romance you’ve landed in the perfect place. 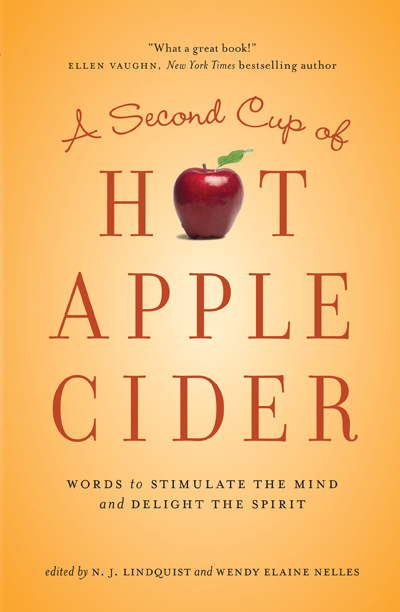 Once again Hannon pulls you in and keeps you reading ‘til the last word. Reporter Moira Harrison is new on the job in St. Louis, but she’s no rookie to investigative reporting. She knows how to dig for answers and get results. But when she hits a pedestrian on a rainy night in a wooded area—only to have both the victim and the good Samaritan who stopped to assist disappear—she turns to P.I. Cal Burke, an ex-homicide detective, to help her sort out the puzzle. Cal is more than a little skeptical of her story, especially since the police have dismissed it. But as clues begin to surface, bringing them closer to answers, the danger mounts. Because someone doesn’t want this mystery solved—and will stop at nothing to protect a shocking secret that will destroy a life built on lies.